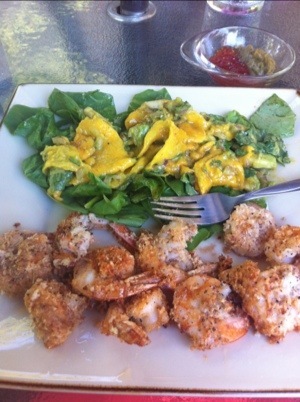 Made this tonight along with the coconut shrimp again. I knew that was going to be a 2 day in a row dish! Was a great side dish and can’t wait for seconds after I’m done writing this! 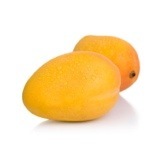 Cut the mangos into strips and the avocados into cubes. 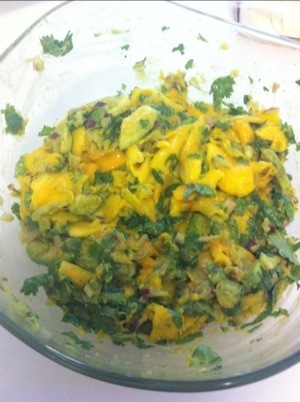 Take a bunch of cilantro and chop, just not too fine, add to mango and avocados. Take the jalapeño and scrape the seeds out. Cut into tiny little pieces and add to salad. Cut your onion into small pieces as well, add to salad. Sprinkle with a little salt and pepper but not much because the dressing gives a great flavor and kick. Combine the olive oil, balsamic, and lime and mix together until creamy smooth. 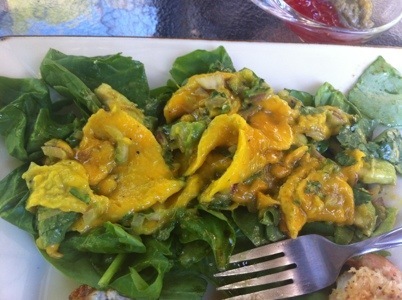 Put a handful or two of spinach leaves on your plate, add the mango salad, then top with balsamic dressing. Serve alone or with any dish you like. So fresh and good! This is SO yummy! Loved it, and 2 out of 3 kiddos ate it 😀 I will be adding more jalapenos next time…we like things spicy around here!